Here's some advice you don't hear every day: Next time you visit New York City, make sure to drink the water -- or, at least, limit your drinking to beverages with calorie counts approaching that of H2O. Otherwise, keep a sharp eye out for Johnny Law. People get thirsty in summertime, especially while strolling the hot city streets. 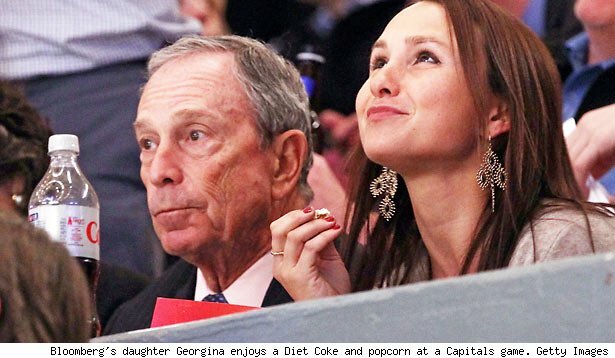 But in a new health-conscious initiative, NYC Mayor Bloomberg has proposed a law that could complicate your search to quench your thirst. 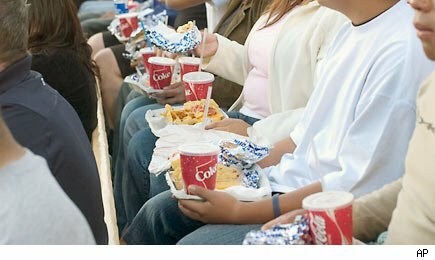 If passed, this law would ban the sale of sugary soft drinks in cups larger than 16 fluid ounces at movie theaters, sports stadiums, street carts, and restaurants. Other critics point out that the policy has some pretty gaping holes, inasmuch as it leaves untouched such high-calorie refreshments as juice, milkshakes, and alcohol. Let's leave that last one alone, and just point out that 12 fluid ounces of orange juice contain 20% more calories than a can of Coke, while 12 ounces of milkshake pack twice the calories of soda. We could sit here all day and make fun of the law's flaws. Instead, in the spirit of helpfulness and civil disobedience, here are a few ways to get around it. Go bottomless. Bloomberg's ban has a per-item focus. There's no law that says you can't buy multiple 16 oz. drinks in a single transaction. And when picking a restaurant, give preference to establishments offering free refills. BOGO. New Yorkers are a creative lot. It'll take about a New York minute for restaurateurs to decide that in a small-cup world, a buy one, get one free sales campaign will attract a lot of customers. Chances are you've got some ideas of your own. Share them below. And here -- to give you a bit of an incentive -- have a glass of NYC water to sip on while you think. What is your best bet for a buck? Our readers think it's Burger King's value menu burger choices, with 36%, just squeaking out a victory over McDonald's, with 35% of the vote. Wendy's came in third with 29%. Whoppers may come from Burger King, but McDonald's had something of a whopping victory in the breakfast category, snatching up 61% of the vote for the heft and value of an Egg McMuffin. A faraway second was Burger King's Croissan'wich, with 17% of the votes, followed by Dunkin' Donuts egg white flatbreads (9%), Starbucks oatmeal (3%) and Cosi's croissant omelet (2%). The coffee wars at fast food joints are constantly finding new battlegrounds. Our latest salvo: McDonald's being crowned best value, with 40% of the popular vote. Dunkin' Donuts was not far behind, with 33%, followed by Starbucks (13%), Wendy's (7%), Burger King (7%) and Cosi (0%). When it comes to fast food fries, McDonald's usually has everyone beat, and this poll was no different: McDonald's scored 63%, while Burger King lead the runners up with 14%; Wendy's (10%), KFC (6%) and Hardee's and Sonic (each 4%). While Burger King might have taken the crown for best burger on the dollar menu, McDonald's won the race for best full-size burger meal value with 39%, followed by Burger King (34%) and Wendy's (27%). Chicken sandwiches used to be overlooked in tales of fast food competition, but there's a huge chicken surge happening lately as people are eating healthier. Who's on top for value? Our readers say it's Wendy's, with 24% of the vote, followed by Chick-fil-A (23%), McDonald's (21%), Burger King (16%), KFC (13%) and Hardee's (3%). If you've got kids, where's the best place to take them to get them full for less? Our readers say McDonald's, as 48% voted the chain the best spot to get value nuggets (and a toy). Runners up: KFC (17%), Wendy's (14%), Burger King (12%), Taco Bell (5%), Hardee's (4%). New Mexican fast-food chains are popping up all over the place, but it seems our readers prefer the value of the industry leader: Taco Bell. The chain garnered 65% of the vote, followed by Chipotle (16%), El Pollo Loco and Baja Fresh (6% each), Taco Bueno (4%) and Taco Cabana (3%). Healthy items are some of the most expensive ones on fast food menus, so what is the best buy? Our readers picked Wendy's salads by far, with 37% of the vote, followed by McDonald's (30%), Long John Silver's (11%), Taco Bell (9%), Burger King (7%) and KFC (6%). While Wendy's Frosty had the early lead, Dunkin' Donuts came from behind to win as best dessert value, with 33% of our vote. Wendy's ended up with 28%, McDonald's with 20%, Burger King with 12% and the bottom was filled out by Taco Bell (4%) and KFC (3%).